This is the first time I see PEX burst because of frozen pipes. There was a house that lost heat with no one living in it. Toilet tanks were solid ice. There were copper in the mechanical room but PEX in the walls and stubbed out in copper. I thought PEX was pretty good at taking frost and I was hopeful that there might not be any burst pipes in the walls. 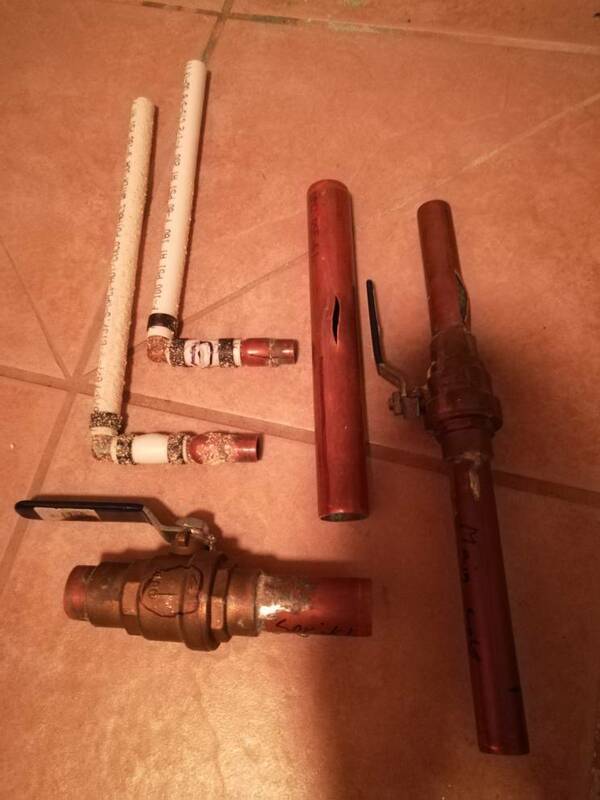 There were 2 burst copper pipes and a cracked brass ball valve in the mechanical room. The kitchen had copper stubbed up through the floor and down about 10" in the ceiling before converting to PEX. When turning on the water we heard a leak in the ceiling under the kitchen sink and it turns out there were a burst PEX pipe both on the cold and on the hot line in the exact same spot basically. 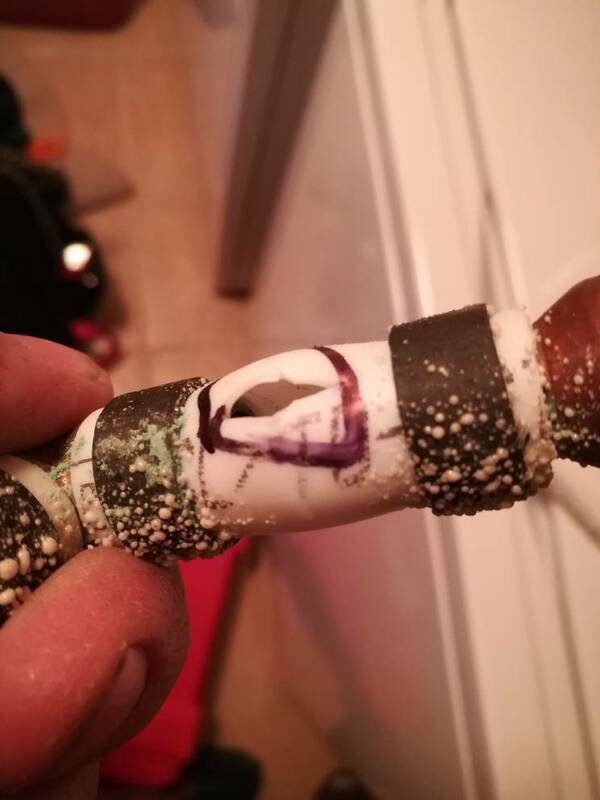 I'm thinking that PEX might be good at dealing with frost when it has enough pipe to expand but on short pieces like this it might not take frost too well. I also thought it was weird how the hot side has burst perpendicular to the pipe and not with the pipe like you normally see. OpenSights, MACPLUMB777 and Tango like this. skoronesa and MACPLUMB777 like this. Dane, how deep are water services buried in your location? Where are you, Minnesota? Here in FL, our code states 1 foot minimum for water services. But we have some services that are exposed on the outside of the bldg. and then turn with a 90 and go into the exterior wall. Hard freezes are not all that common here. I can never get used to hearing about things like water lines and water heaters outside the house. I believe the water service is a minimum of 7' below grade here. I have heard about frost as deep as 11' down. About 5 years ago here in town the city told people to run a constant drip to avoid freezing water service. It gets cold up here in north west MN. 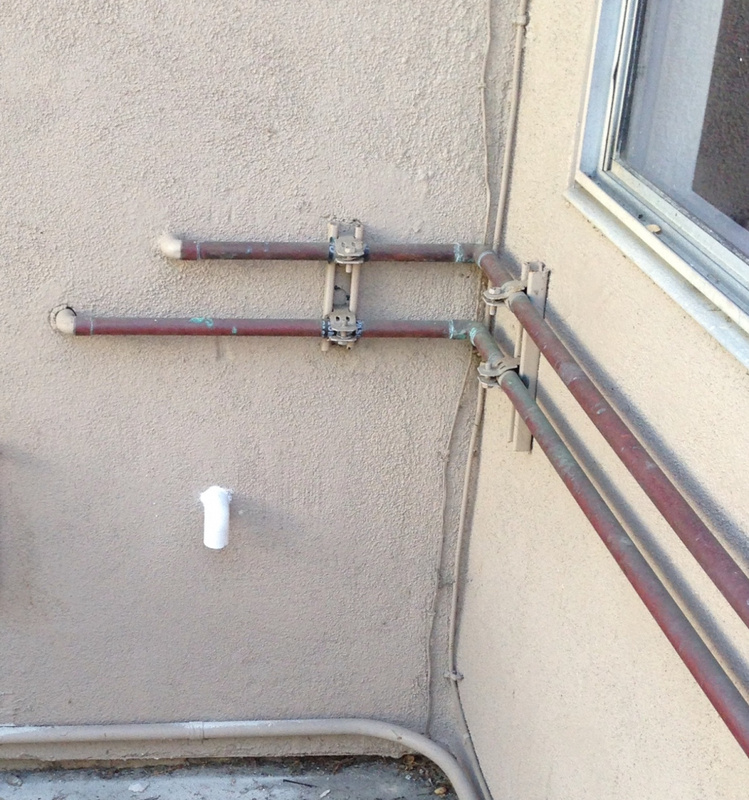 I think technically you are allowed to run water lines in an exterior wall if you take proper steps to protect it from freezing but normally no one would run a water line inside an exterior wall. It's around this time of the year I think about moving somewhere less cold. I'm getting tired of the snow and cold. Friday it heats up to a nice 25-30 degrees. Almost nice spring weather for around here. You guys must have a micro climate. It seems it colder where you are than up north where I am. Well north west Minnesota is technically further north than quebec city Canada. Not by much, like I said previously I think it's colder where you are because of the wind of the great lakes. You could be right. What ever it is I'm getting tired if it and honestly would not mind moving to a milder climate. Not some place hot just milder. breplum, skoronesa and MACPLUMB777 like this.